Speechwriters for the Obama Administration say there is just nothing stirring or inspirational here whatsoever. WASHINGTON—Claiming that nothing about the city really evokes the strong sense of pride and endurance that typically serves as a source of strength in a time of need, members of President Barack Obama’s speech writing team admitted Thursday they were “pretty much at a loss” for how they would go about praising Ft. Lauderdale, FL should a tragedy strike the city. 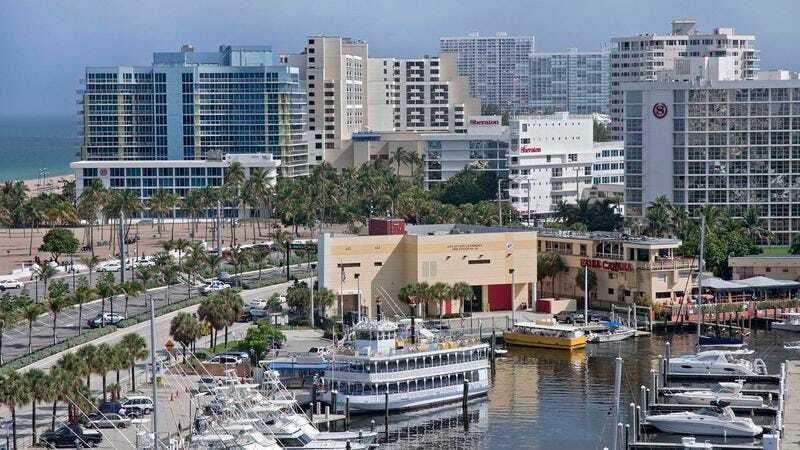 According to Keenan, were Ft. Lauderdale to suffer a mass shooting, terrorist attack, or other unexpected tragedy, he and his team of writers would be hard-pressed to channel the city’s sandy beaches, wide streets, and abundance of strip malls into a resounding testament to the triumph of the human spirit. Moreover, Keenan emphasized that none of what most people associate with the city—warm weather and a large elderly population—would be in any way helpful when attempting to compose a speech designed to reassure and embolden a country reeling from a recent devastating event. Fellow Obama speechwriter Ben Rhodes concurred with Keenan’s assessment, pointing out that the city of 170,000 lacks any kind of cultural depth, inspiring local figures, or general relevance to the country’s larger history that could be incorporated into a speech intended to comfort and remind people of the nation’s greatness. Rhodes noted that he’s thought about putting something together about the determination of the area’s first settlers, the Tequesta Indians, but admitted that would be “quite a stretch.” He even thought about using luxury yachts as a theme, but told reporters that would probably only inspire the country’s rich boat owners. According to the speechwriting team, the one saving grace is that it’s highly unlikely that terrorists would ever target any of the city’s three T.G.I. Fridays locations or its many go-kart tracks.